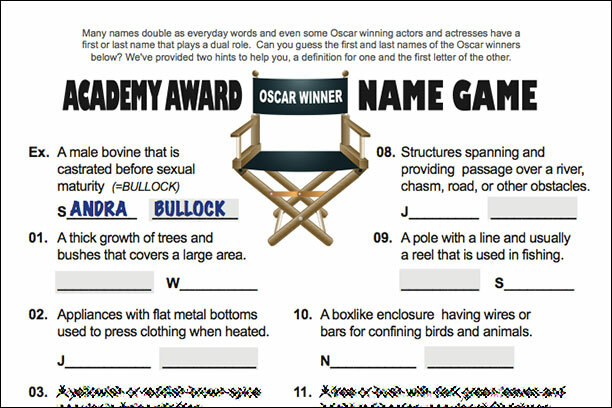 Can you guess the first and last names of the Oscar winners in this Oscars Game? Many names double as everyday words and even some Oscar winning actors and actresses have a first or last name that plays a dual role. For example, a male bovine that is castrated before sexual maturity is called a Bullock... so, the Oscar winner we're looking for is Sandra Bullock. 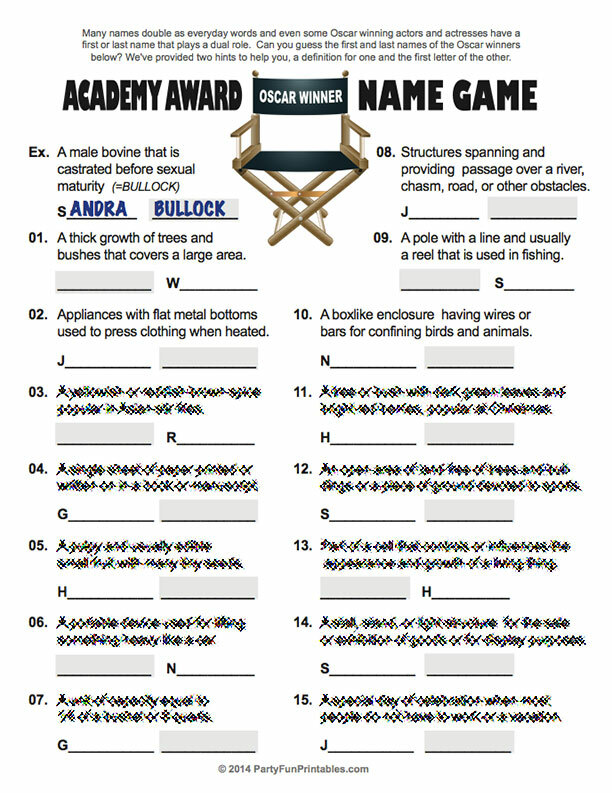 The game gives 15 synonyms for the first or last names of Academy Award winners of the past. 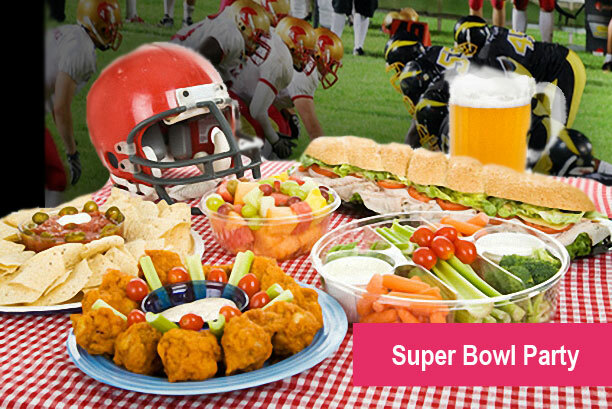 Your guests, either by themselves or in teams, must name the correct Oscar winners. for the other, the first letter is provided. For each correctly named Oscar winner, a point is awarded. Most points win. 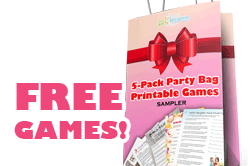 Print out enough sheets to hand out. Make sure you have some extra pens available. To add to the fun, buy some prizes to hand out to the winner(s).